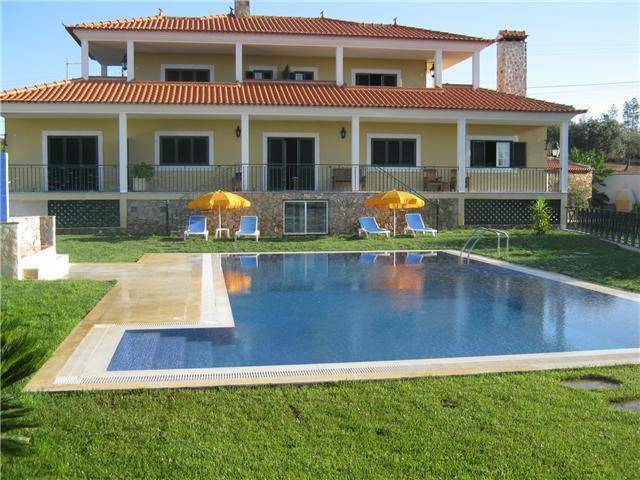 Welcome to Quinta do Ribeirinho - the prime location for a few days of relaxation and leisure this coming summer. 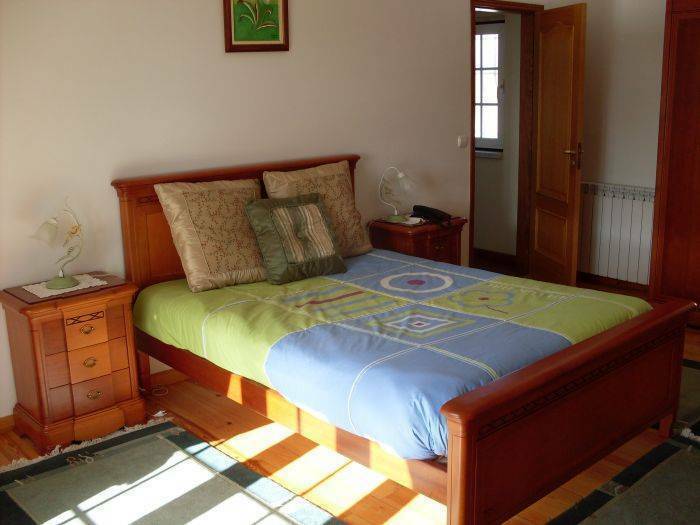 Located in the region of Portalegre, this small B&B offers the peace and tranquillity of a rural environment with all the city facilities just minutes away. Here you can rest comfortably in one of our rooms with a view over the garden and the small village of Vilar da Mó, relax in a hammock on a private balcony, spend some quality time with your family in the salt water swimming pool or pamper yourself in our state of the art spa. Enjoy the unexplored landscapes of the northern Alentejo: river beaches, natural waterfalls in hidden lakes, surrounded by green hills and cliffs – the perfect location for a picnic. Discover lost civilizations in the Archaeology Museum and stroll down a roman bridge in Mação; immerse yourself in the medieval past with a visit to the castle of Belver and surrender to the adventure by climbing peaks or canoeing down the river Tagus in Alamal. If you prefer you can also visit the hot springs of Ladeira with several treatments at your disposal. At the end of the day return for a sauna or water massage session and a home cooked meal made especially for you. Warm up in the cold nights with a glass of wine in front of the fireplace and taste the local products we have for you. And if you want to surprise you better half with a romantic gesture, just ask our team. We are at your service. Only an hour away from Serra da Estrela, hour and a half from Lisbon and an hour and twenty minutes from Spain, Quinta do Ribeirinho is also perfectly located if you wish to explore a little further than northern Alentejo. Wherever you wish to go, we are the place to come back to. 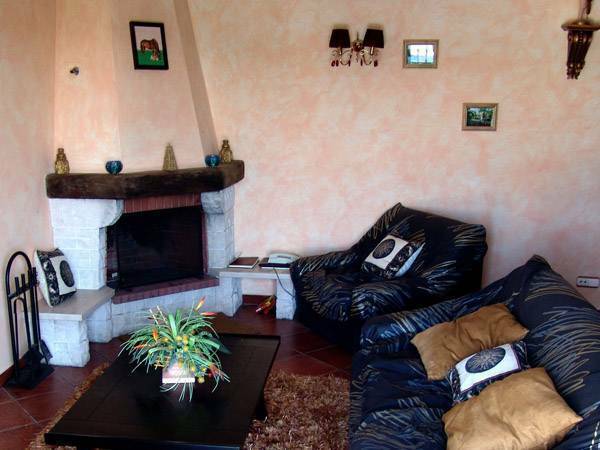 This pleasant B&B has all the modern conveniences at your disposal: internet access free of charge, satellite tv, salt water swimming pool for exclusive use of our guests, and a small spa with whirlpool, infra-red sauna and massage therapies at your disposal. 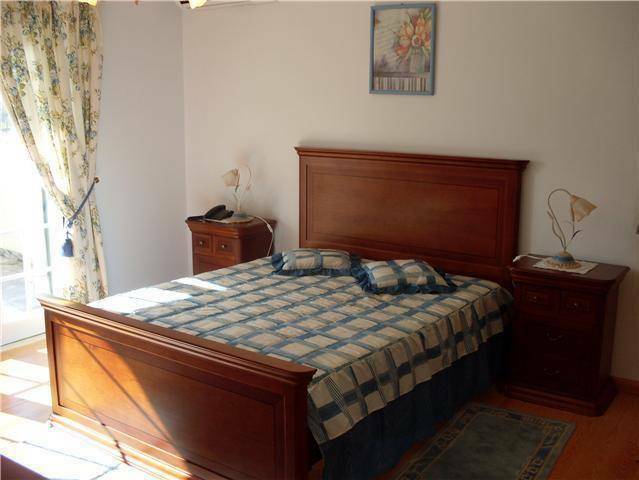 Rooms Campo and Água - Two standard double rooms with private bathroom and balcony, central heating and air conditioning, satelite tv. 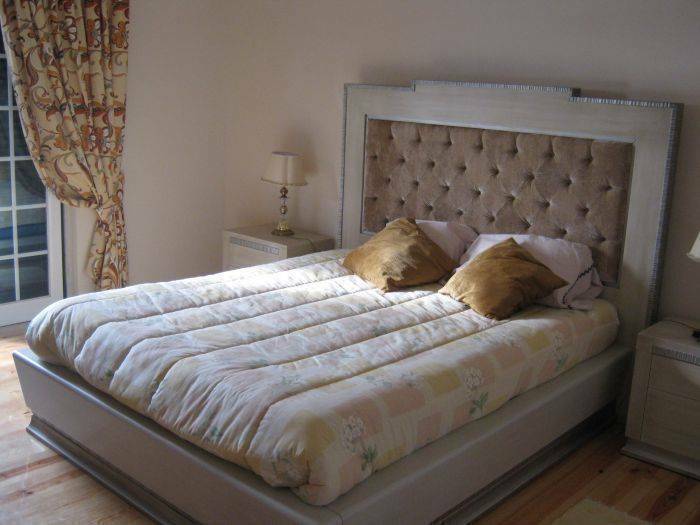 Room Lua - One twin room with shared bathroom, satelite tv, central heating. Quinta do Ribeirinho is located in the middle of a very small village wit only three permanent inhabitants. Other houses and farmhouses are occupied only on weekends and during the summer. You will have the opportunity to see shepards taking their goats from field to field and farmkeepers working the land. You will wake up every morning to the sound of the birds singing, and the wind will be your lullaby. There is no noise, no trafic, no smog, no pollution. Only the fresh air smelling of pine tree leaves and orange blossoms, swallows diving into the swimming pool when there is no one there and the shepard dogs barking in the distance. Car is advised. There is a railroad about 8km away, in Belver and 10km away in Ortiga. From any of the stations you will be able to hire a taxi to bring you to Vilar da Mó. Taxi services are also available from and to Gavião and Mação.